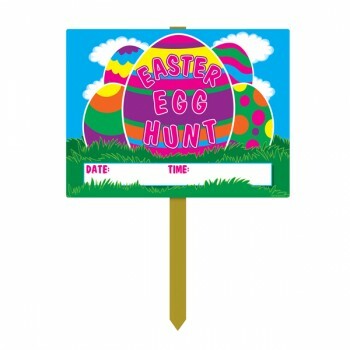 This vibrant sign is just the thing to let your guests know they are in the right place for your Easter egg Hunt. Includes: Single sided Easter egg hunt garden sign. Dimensions: 28cm x 38cm, attached to a 56cm pine stake.